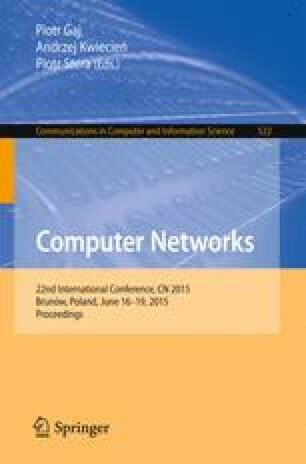 The article describes results of research in the area of software-defined networking applied to multi-cloud infrastructures. We present an innovative load balancer designed in accordance with a unique set of requirements, stemming from taking the cloud tenant’s perspective on cloud service usage effectiveness. We developed a proof of concept implementation of the load balancer and drawn the conclusions regarding the system itself and its applicability to production environments. Our solution is more comprehensive than others available in contemporary SDN environments, and offers more functionality than just service chaining realized through flow reroutes. The research presented in this paper was partially supported by the Polish Ministry of Science and Higher Education under AGH University of Science and Technology Grant 11.11.230.124 (statutory project).